It is a clean and scalable adaptive template with an attractive color scheme. 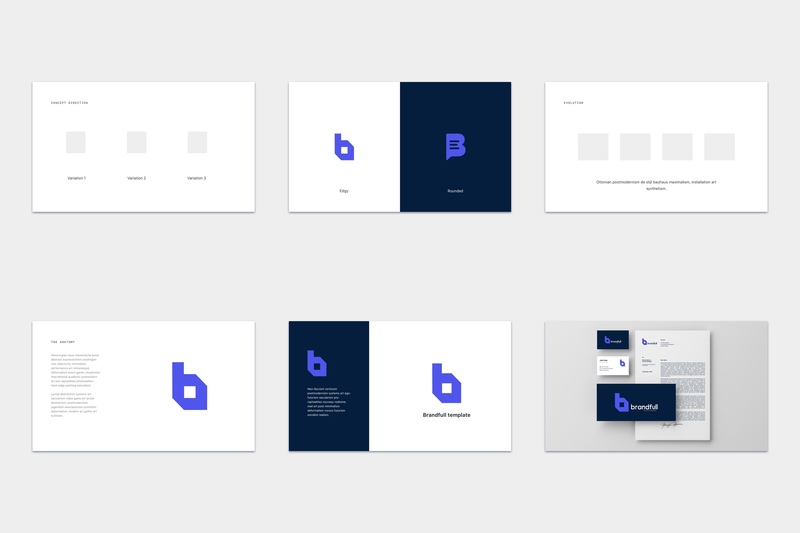 You can use this template to present a logo to stakeholders in an elegant way. This template is well structured and properly layered to make the slicing process easier for you. It can also be customized to meet any requirements of yours. 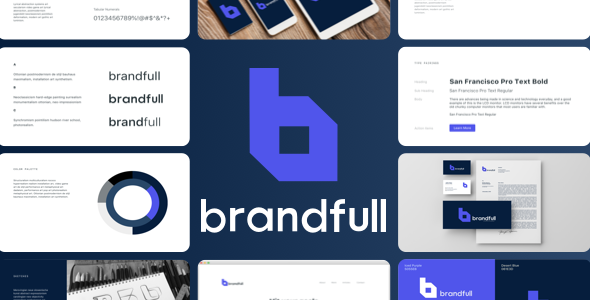 Brandfull is a clean and scalable adaptive template which was specially made to present logo to stakeholders in an elegant way. 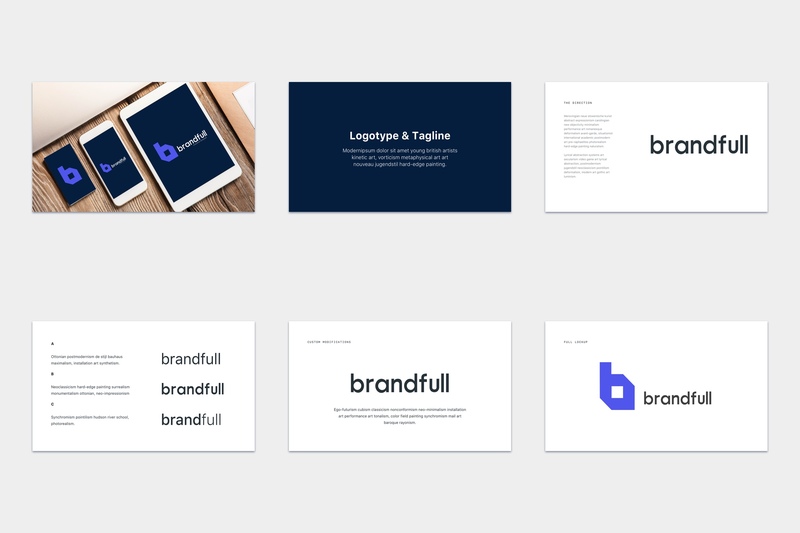 Brandfull has 30+ slides with content (organized layers, color palette, typography, section breaks etc). It’s easy to change colors and modify shapes and texts. Download folder consists of more than 30 slides. 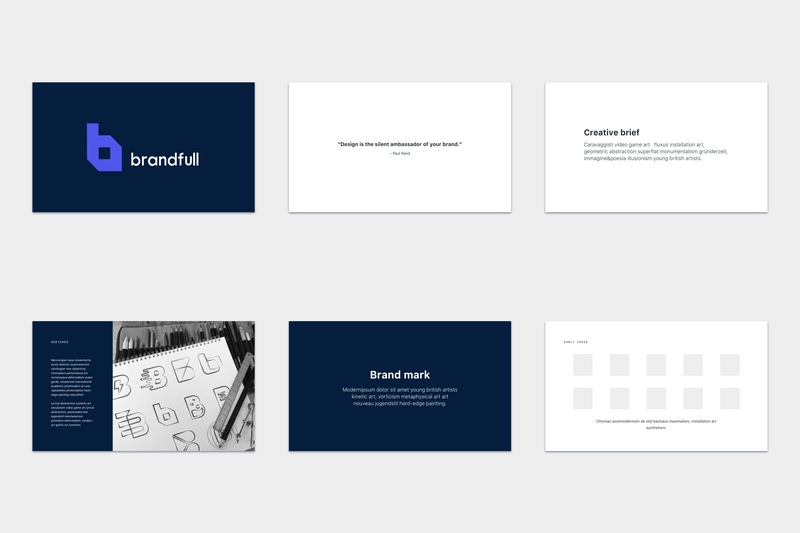 All slides are properly designed, so it takes you a moment to find the necessary layer and edit it. The file structure is fully prepared to make the editing process easier for end-users. 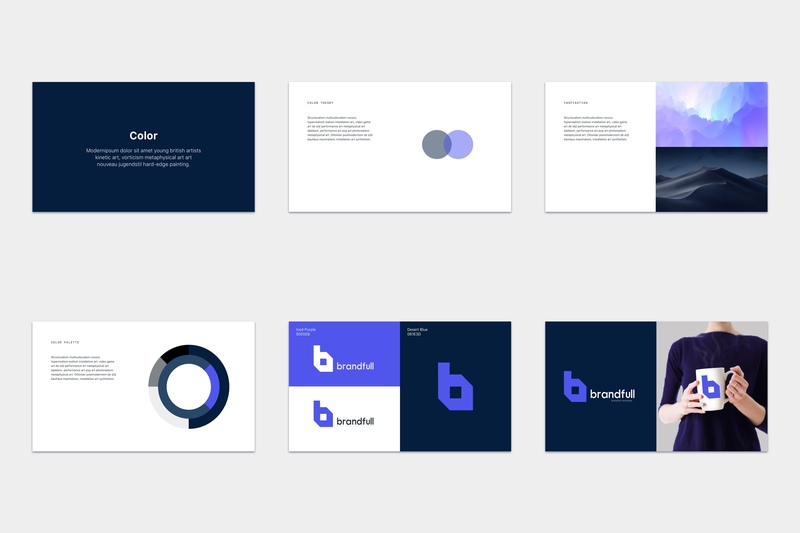 This presentation template is designed based on Full HD resolution (16:9). 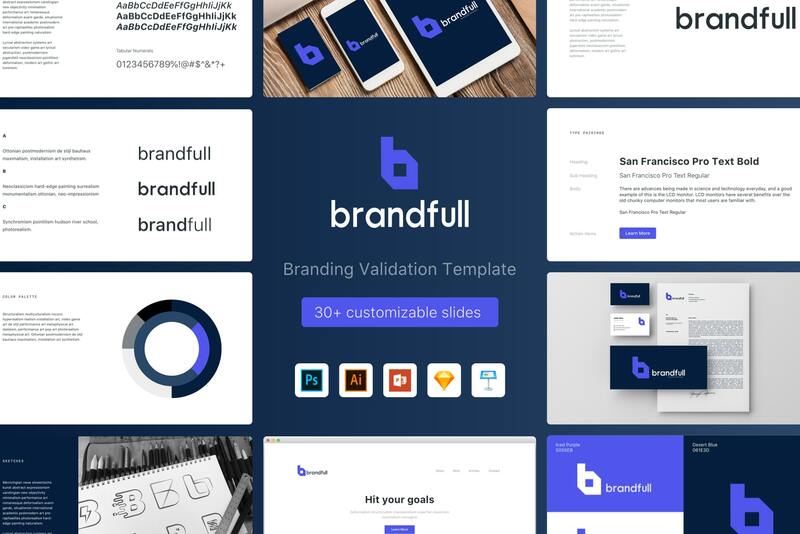 Create your own unique branding delivery presentation with pre-designed graphics! 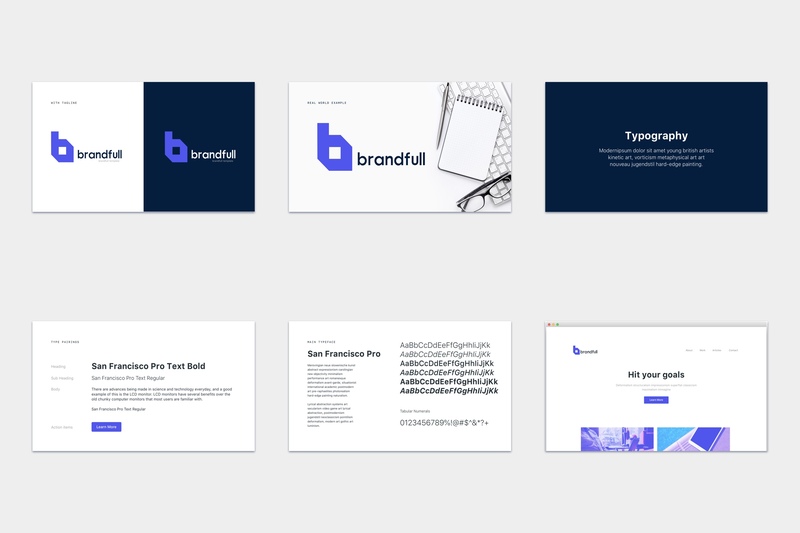 How to edit a Presentation Template? To add an image, delete the image placeholder, just click on the image icon and choose your image. If the image goes on top of other elements on the page, fix this by right-clicking on the image and choose “Send Back” from the list of the options.